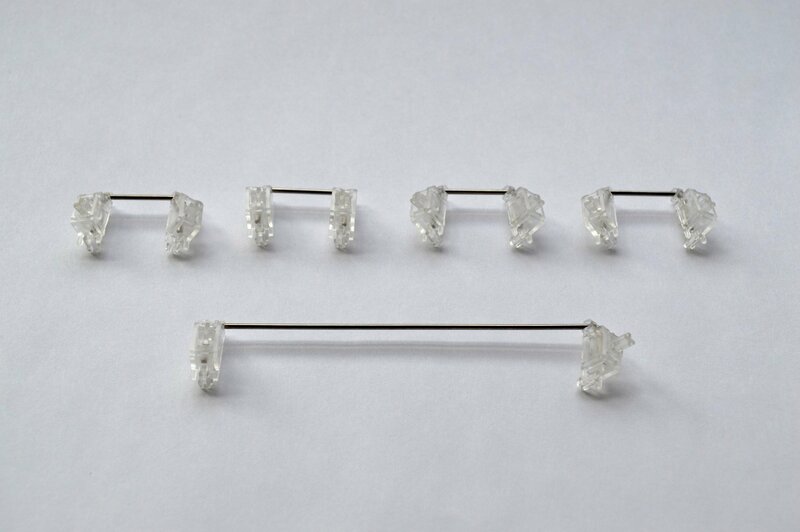 Clear Cherry style PCB mount stabilizers. This set comes with 4x 2u and 1x 7u. Stabilizers are flat, so no cilpping required.